You Can Cut Right Through! 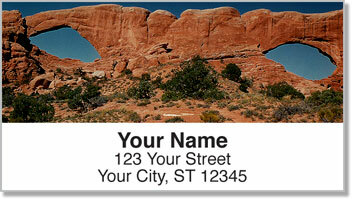 We're pretty excited about the magnificent sandstone arches pictured on these scenic address labels, now available only from CheckAdvantage. We wanted to create a product that pays tribute to these grand land formations because they serve as such a stark reminder of the power of Mother Nature. 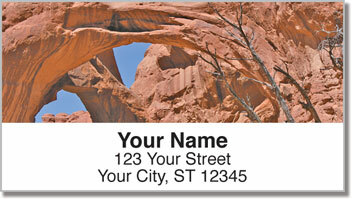 The stunning photographs that are printed on Natural Arches Address Labels and matching Natural Arches Personal Checks bespeak the geologic transformations that can take place only over thousands of years. 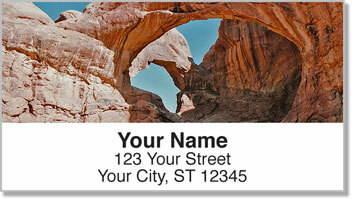 Besides the convenience they offer when preparing envelopes for the mail, these handy labels are also useful for identifying personal items like books or CDs. 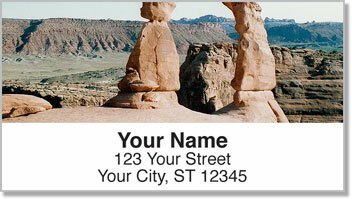 Don't delay-order your Natural Arches Address Labels and matching personal checks today!